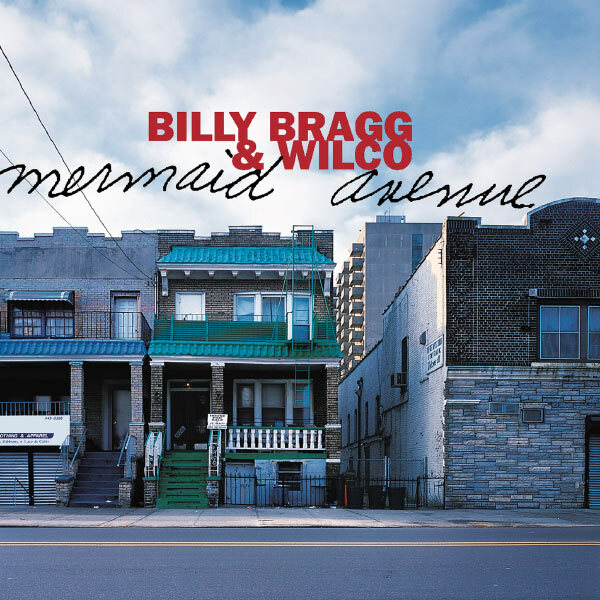 To commemorate Woody Guthrie’s 100th birthday on July 14th, Nonesuch Records plans to release a four-disc compilation of Billy Bragg and Wilco’s Mermaid Avenue collaboration. According to Bragg’s website, Mermaid Avenue: The Complete Sessions comprises remastered versions of 1998’s Mermaid Avenue Volume I and 2000’s Mermaid Avenue Volume II, 17 tracks culled from the unreleased Mermaid Avenue Volume III sessions, and Kim Hopkins’ 1999 film, Man in the Sand, which documents the collaborations between Bragg and Wilco. Like myself, Woody couldnt write musical notation. When he wrote a song, he kept the tune in his head. As a result, when he died, the tunes for the songs which he hadnt had time to record were lost forever. And there were thousands of them. Its estimated Woody only managed to record 10% of the songs he wrote in his lifetime. It was this treasure trove of songs that Nora Guthrie discovered when she founded the Woody Guthrie Archives in the early 1990s. Shed always known that they were there, in boxes at her mothers house while she was growing up, but she never realised how many there were and how varied their subject matter. According to an Amazon.com listing, the compilation will arrive March 27th, and Bragg plans to the support the release with a series of shows throughout the year. Stay tuned as this story develops. In the meantime, check out Bragg performing Guthrie’s “All You Fascists” below.